And here it is today - still standing, but with significant alteration to the front. 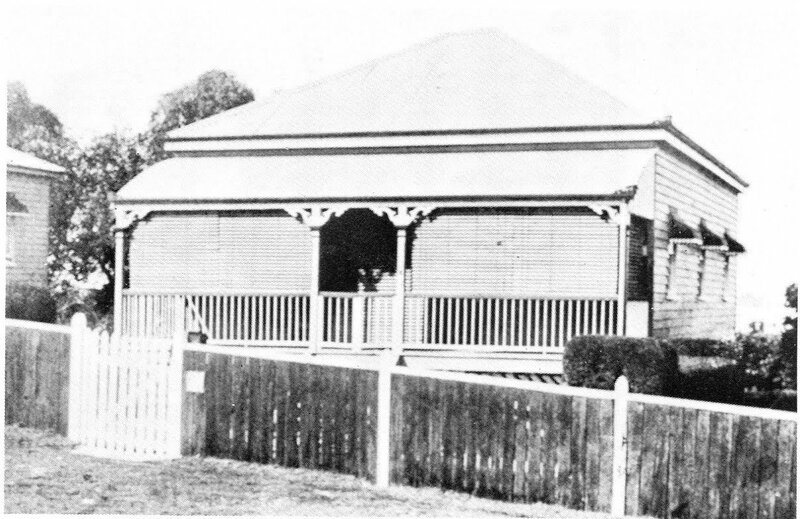 The verandah has been enclosed, losing the balustrades and beautiful timber fretwork evident in the earlier picture. 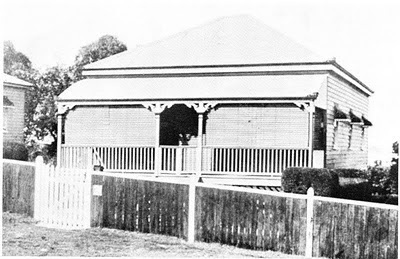 The little house is in the near-northern suburb of Nundah, and is the prototype "timber and tin" dwelling that, over time, morphed into the Queenslander. It was designed by the architect's office of the Workers' Dwelling Scheme, and it cost £220 to build in 1910. By 1914, the Workers' Dwelling Scheme was producing houses that looked like this one. As well as designing and constructing the houses, the government also financed them. The first house at Nundah (top photo) was built for a Mr & Mrs Weissner, and the Workers' Dwelling Board funded a mortgage of £190 which was to be repaid over 20 years at 5% interest. 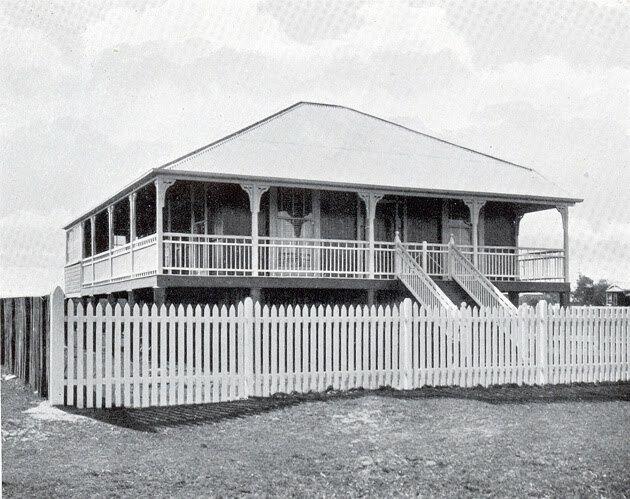 This method of building and financing houses for low-income residents eventually became the Queensland Housing Commission. 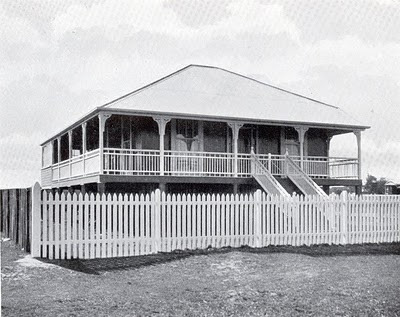 Yes, it is fascinating to see the evolution of the Queenslander, and how beautiful they are. It's a shame that later Housing Commission houses (like the one my family lived in) were stucco hot-boxes. It's a shame they've enclosed the beautiful front verandah. I live in a worker's cottage and I love it's character!